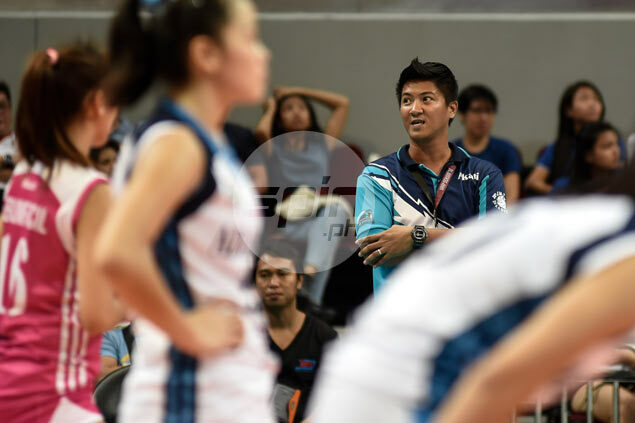 SHERWIN Meneses has resigned as coach of the Adamson Lady Falcons midway through the elimination round of the UAAP Season 78 women's volleyball tournament, but school officials remained mum on the development. Athletic director Fr. Aldrin Suan could not be reached for comment, while representative to the UAAP board Fr. Max Rendon said he is still waiting for Meneses’ official letter of resignation before he gives his comment. “I don’t want to comment on this because we have not received an official letter of resignation from him. Let us wait for his resignation letter,” said Rendon. Meneses, who coached the Lady Falcons for the last four seasons, announced he is stepping down, citing the difference in direction he and the team management wanted for the squad. The Lady Falcons, who are coming off a 18-25, 12-25, 18-25 defeat to National University on Sunday, are currently in the lower half of the standings occupying the seventh spot after winning only three of their eight games this season. Meneses replaced Dulce Pante in Season 75, where Adamson finished third. The Lady Falcons made it to the Final Four in Season 76 but was left out of the semis picture in Season 77.